Why have a mere laptop when you can have all the advantages of a complete workstation setup? That’s right, in as little as 5 minutes you can transform your Macbook Pro into a powerhouse of editing, gaming, and so much more. How, you may ask? With a little device called a docking station. These nifty devices connect to your laptop and connect it to tons of different ports including but not limited to a full PC setup. This high tech docking station has everything you may need and more. This station is compatible with every model of 13 inch MacBook Pro. It features ports for FireWire 800, Gigabit Ethernet, 5 USB 3.0 ports, Audio In, Microphone in, and MiniDisplay Port for an external monitor. It also has a secure Digital Card Slot. 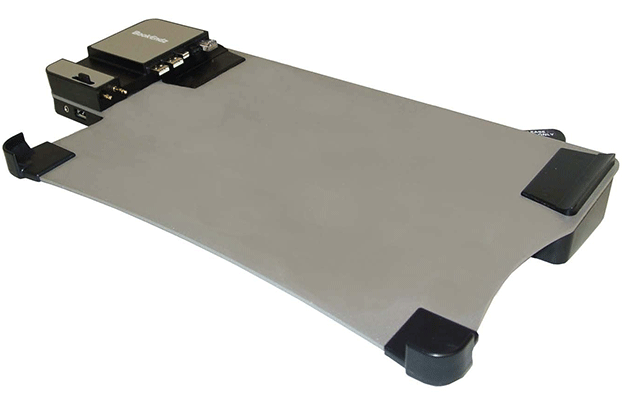 This lightweight and portable docking station is perfect those looking for a simple station. It is built for 15 inch MacBook Pros and features a very compact and light design. It can support up to two monitors and comes with a USB hub, built-in HDMI, mini display port/thunderbolt passthrough, and a USB 3.0 port. It can also lock your MacBook using the built-in Security Slot. 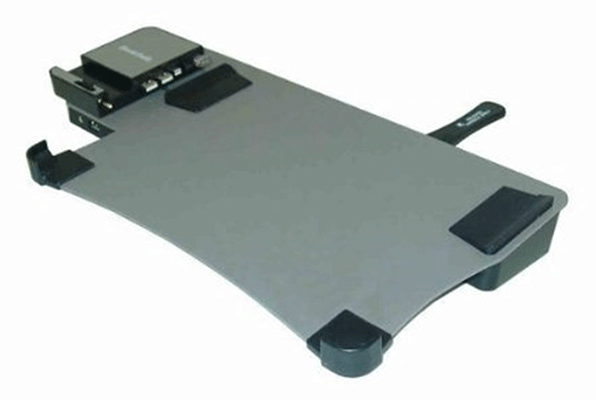 Your laptop sits on top of this docking station, making the keyboard and screen angle safer and more ergonomic for those long computer sessions. We talked a little about a Bookendz docking station above. This one is very similar except it is compatible with 15 inch MacBook Pros as opposed to the 13 inch version above. This is a high powered piece of machinery that will provide everything you need in a docking station. It features a plethora of useful ports and even a secure digital card slot. This device is fairly durable and will last for a long time to come! This little docking station fits directly underneath your laptop to provide a convenient and ergonomic workspace. 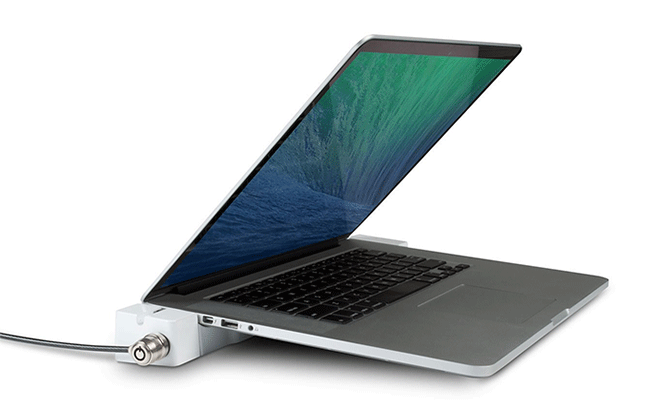 The LandingZone Dock Express is super lightweight and can fit any 13 inch MacBook Pro. It features numerous helpful ports including a USB 3.0 port and an HDMI port. It can also support up to two additional monitors or television screens to give you the workspace of your dreams. Declutter your desktop with this handy vertical docking station. Simply connect your monitor and accessories to the dock, slide in your laptop, and enjoy. This design integrates all the best parts of having a laptop and a desktop computer giving you the large screen and ease of use of a desktop and the portability of a laptop. It connects to your laptop quickly in just one simple movement. And, you can customize your installation only using the ports you desire. This docking station only works with 17 inch MacBook Pros. 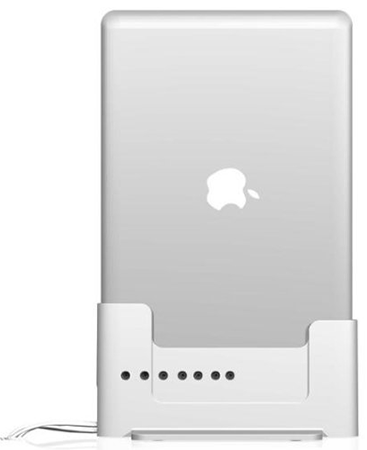 This simple docking station can be used with the 13 inch model of the MacBook Pro. The sleek and elegant design would look great on any desk. Setup is simple and easy. This device comes ready for Apple Thunderbolt displays and cables. This device comes pre-installed with Mini DisplayPort, USB 3.0 and TRRS audio extension cables. This lets you easily connect your laptop to peripheral devices or multiple monitors. This device also come with a cable organizer to make your workspace look neat and tidy. This docking station works with 13 inch MacBook Pro models A1425 and A1502. This easy to use dock features a built-in HDMI, Mini DisplayPort, Headphone port, and USB Hub with 3 USB 3.0, 2 USB 2.0 ports. This dock can easily support multiple devices connected to it, including two monitors. The dock also features a Security Slot that is compatible with most Kensington laptop locks. This makes it safe and secure to use, even when you are not at home. And trust me, you will want to use it even when you are not at home because it is so lightweight and portable. With this docking station, in the wise words of Elizabeth Lemon, you can have it all! With the multiple access of a media center, desktop, and laptop, you can work on projects at a much faster rate with a much more intuitive and organized layout. 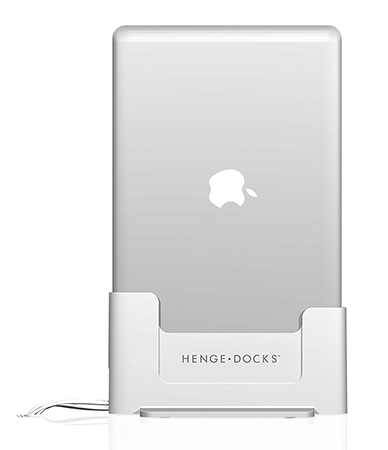 The docking station is made of a sleek metal base and is incredibly easy to set up. With plenty of ports to choose from, it provides plenty of support with cable organization and desk space to set up more than just your computer. If you’re looking for a faster and more functional way to use your MacBook, you may have just found it! With the LandingZone docking station, you can lose the constant struggle with organizing cords and turn your desk into a better systematized layout for all of your computing needs. With the LandingZone’s layout of ports and slots, you will never again have to attach tons of USB hubs to create more accessibility. With this docking station, simplicity is mandatory. This unique and versatile vertical docking stand allows one of the simplest ways to set up your MacBook for extreme efficiency. The docking station comes with tons of different ports to customize to your liking. Just simply slide in your MacBook and you are connected to fulfill lightning fast web browsing and ease of access without cords all over your desk. If you like unique desktop tools, this docking station will leave you grabbing for your wallet. With an extremely unique stand of vertically aligning your laptop, it allows you to multitask to no end. Wiping away the clutter of cords and leaving you plenty of desk space, it reduces any time you would usually spend disconnecting and reconnecting all your devices. Jam Loaded with different connector options such as audio in/out, SD cards, 2.0 USB openings, as well as display ports, you have a variety of options to customize your setup. 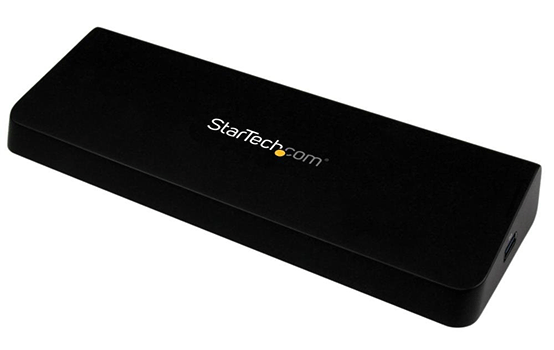 If you are looking for an ultra clear 4K resolution output, this StarTech device will do so much more that suit your needs. Compatible with any 3.0 USB capable laptop, especially MacBook Pros, it will take your screen and give you the best display to view either when you’re working on large group projects or simply browsing Netflix. Also, if offers fast charging technology to skip plugging your phone in across the room. Having all your devices in one place is super important to any computer whiz, with this extreme 4K display capable device you will be able to tackle any project with your MacBook Pro. 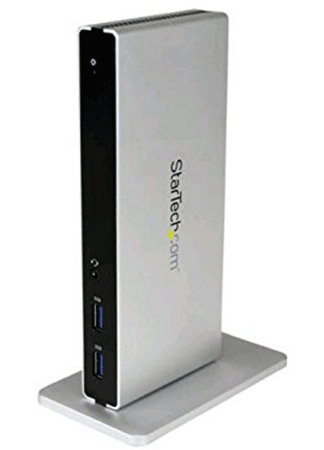 If you’re looking for a great device to jump start your mac’s capabilities, this StarTech docking station might just be the right pick for you. Easily you can leave all your cables plugged in without the mess of wire clutter from your portable laptop. Included is a power adapter to charge your 5-ports USB and Gigabit Hub. Not to mention, a headphone and HDMI port, Thunderbolt fast connectivity, and a security slot. There is no stopping what you can do with this incredible helpful all in one device. Price: Docking stations can cost up to a couple hundred dollars. It all depends on the features you are looking for. Basic models will, of course, cost less than the more advanced ones. 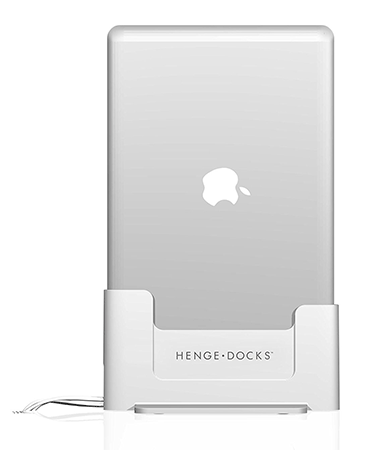 Type of Docking Station: There are replicator, universal, and mobile docking stations. Replicators are the most basic docking stations and are great for ultrabooks and limited laptops, giving additional ports to plug things into. Universal stations do the same as a replicator but have more features like charging and storage. Mobile stations are similar to universal stations but are more slimmed down and portable. Ports: Most docking stations offer additional USB ports, but some also offer USB 3.0 ports, ethernet ports, and more. Multiple Monitors: If you intend on buying a dock to hook up multiple monitors, beware as not every model has this capability. Charging Capabilities: A lot of docking stations can with the ability to charge your laptop while it is in the dock. This is an excellent feature to look for. 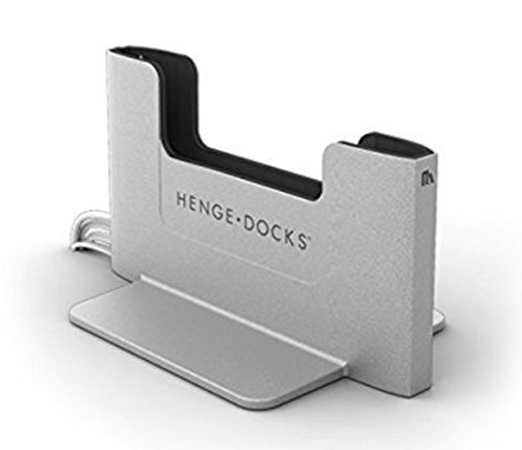 You love your MacBook Pro laptop, but to get the most out of it while using it at home, you may want to get a universal docking station for it. This will provide you with the best possible user experience while using it. 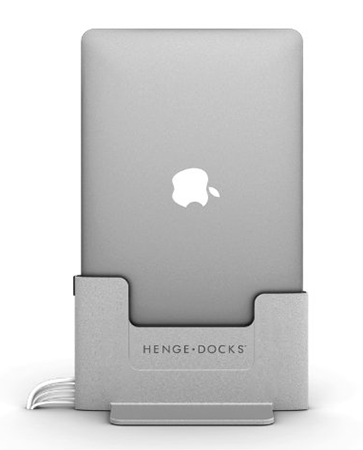 These docks usually come with a wide variety of extra ports, making life and work much simpler. This allows you to connect things to your laptop that you might ordinarily not be able to. Grow your laptop into its optimal settings by connecting a keyboard and mouse. Connect to a large monitor or multiple monitors, depending on your viewing pleasure. Docking stations also charge your laptop while they are plugged in.